I painted "Rainbows Aren't for Dinner" in 2017. 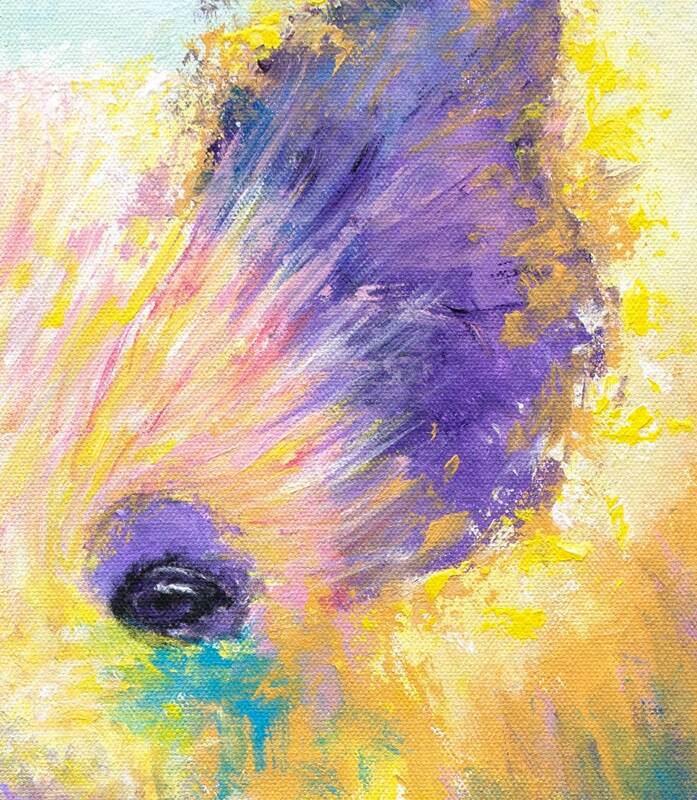 It is a handmade original painting. 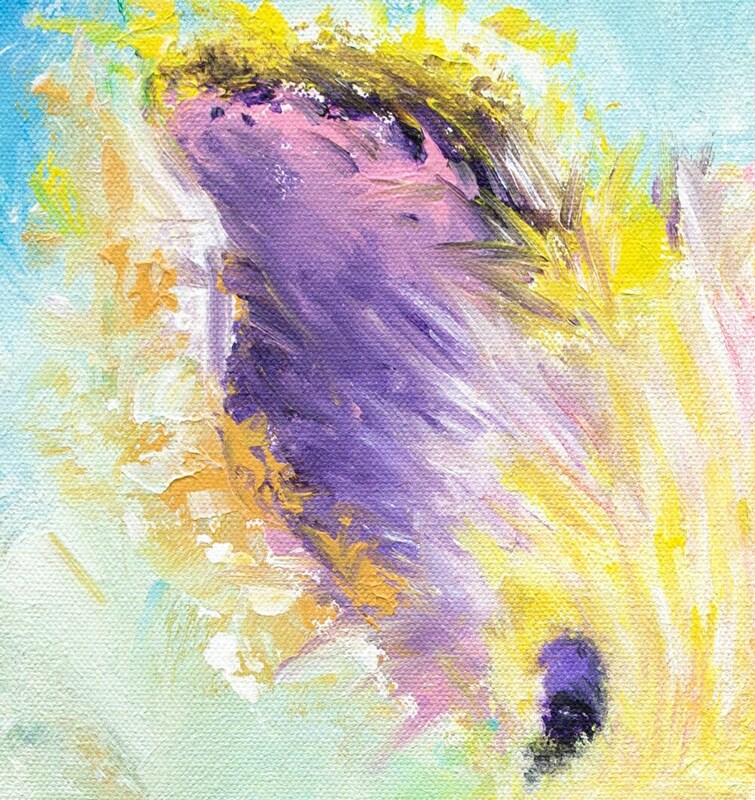 This artwork is a visionary impressionist style portrait of a beautiful Kunekune pig. 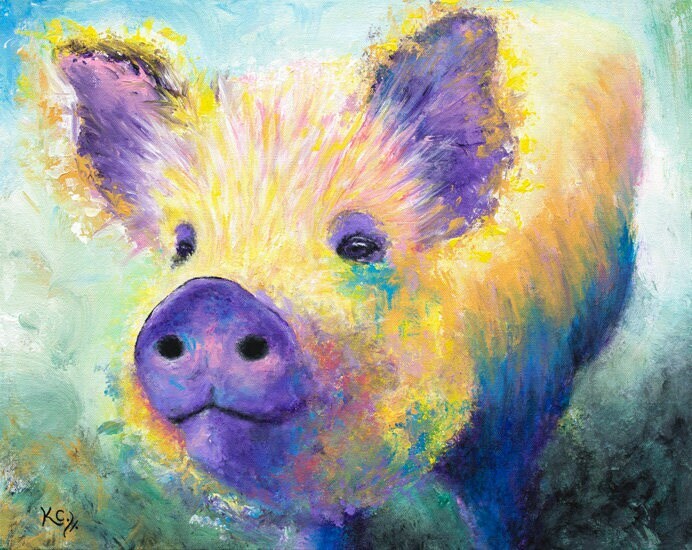 Kunekune pigs are a breed of hairy pigs that are native to New Zealand. Once they were close to extinction, but now many are kept as pets. 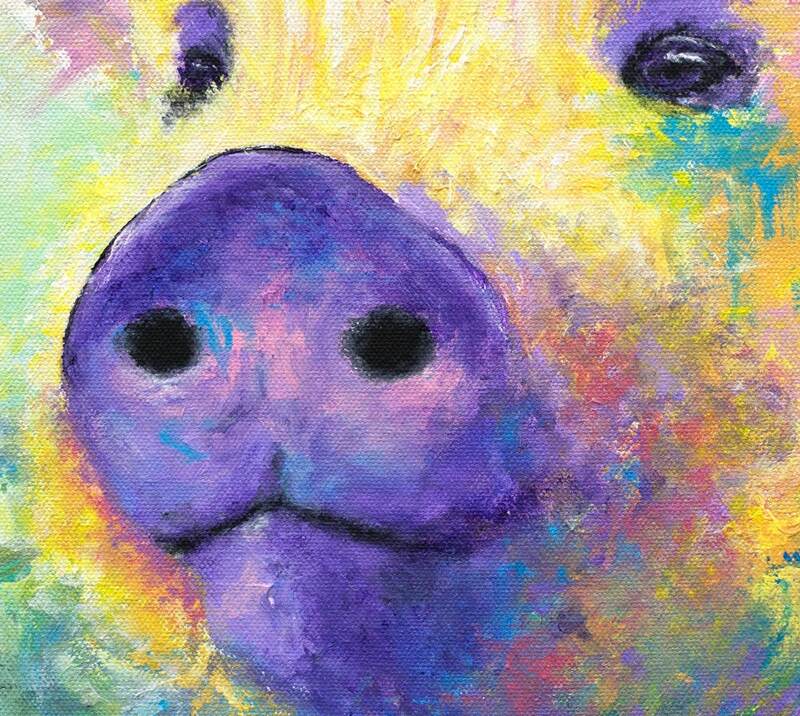 The size of this colorful pig painting is 16 x 20 x 1.5 inches, and the medium is acrylic on canvas. 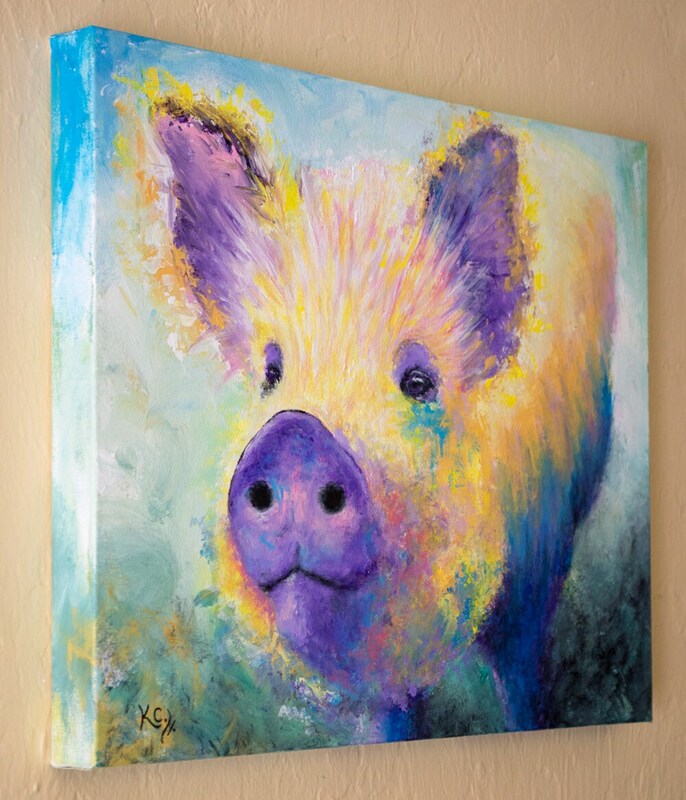 This art piece would make an awesome gift for anyone who has a pig, likes pig art, a pig portrait, farm animal paintings, or colorful paintings of pigs.